When your home’s heating or cooling system struggles, you need it fixed as quickly as possible to keep your family safe and comfortable. That’s where STAATS Service Today comes in: we offer reliable, affordable HVAC repair services you can count on to keep your system running smoothly all year long. Our customers have come to trust STAATS Service Today for our honest, upfront pricing and quick response time. 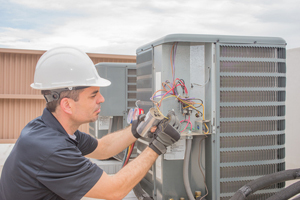 We are able to repair most major brands of HVAC systems, and we can ensure the continued performance and longevity of your equipment with regularly scheduled maintenance. Additionally, we are always upfront and honest about your costs. The price you see is the price you will pay, and you can take advantage of our frequent coupons and specials for even more savings! All work is priced by the job, rather than the hour. You will always know what your job will cost before we start work. Our dedication to fair, straightforward, and accurate pricing has made us the most trusted name in HVAC in the Tri-County area. Did your heater go out in the middle of a snowstorm at night? Did the air conditioning shut down in the evening during a heatwave? There’s never a good time for an HVAC emergency, but STAATS Service Today will be there for you when it happens. We provide around-the-clock, emergency service whenever your heating and cooling system decides to act up. However, the best way to prevent peak-season outages is through regular preventive maintenance, so we also offer service plans to help maximize your unit’s life. Whether you’re already in an emergency or just trying to prevent one, count on us to respond promptly and courteously to your request. Our goal is to make you a customer for life by providing you with the same honest, convenient air conditioning and heating repair services so many Peoria homeowners have come to expect from us. With our convenient Creve Coeur location, we’re able to serve the entire surrounding area, including customers in Morton, East Peoria, Pekin, Washington, and Metamora. 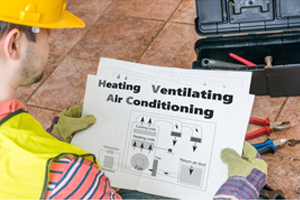 Contact STAATS Service Today or call us at (309) 694-9177 to schedule your HVAC repair.